Dr. Light has been associated with PEF for over 20 years. He has previously served as the Director of International and United States Ministries (1982-2001). During that time he led many successful evangelistic efforts in Uganda, Jamaica, Puerto Rico, India, and Russia. In 2001, Dr. Light was installed as the third Executive Director of PEF and has faithfully served in that capacity ever since. 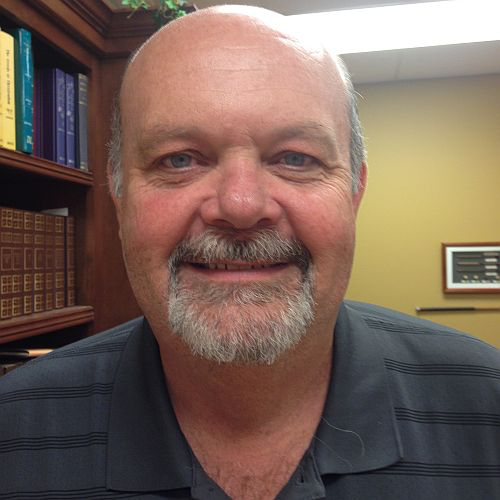 Dr. Light graduated from Graham Bible College with B.B.E in Bible and Theology. He received his Seminary training (M.A/M.Div.) and he received his Ph.D in Christian Thought through the Jonathan Edwards Institute in Princeton, NJ, credited through the University of Biblical Studies and Seminary of Oklahoma City, OK in 2005. He is married to the former Evangeline Patricia Wilkinson, daughter of Dr. & Mrs. Ben Wilkinson. The Light's have three children: Joshua, Victoria, and Nathan. Victoria is married to Justin Rodda and have a daughter and Nathan is married to Beth DeVault Light. Rev. Light has served as a member of the office staff since August 2, 2004 in a number of differing roles, presently as Chief Operating Officer. He completed his M.Div. in 2015 through Birmingham Theological Seminary in Birmingham, Alabama and is now engaged in D.Min. study through BTS, as well as research connections at Princeton and the Library of Congress in Washington, D.C. Joshua says, “We at the office are blessed beyond all belief. We have the seat of seats to the International Theatre of Reformed Missions. We get to watch first and second-hand, how God continues to build his Kingdom here on this Earth." Nathan has recently joined the PEF team in May, 2016. He holds a bachelor degree in history and political science, and a second bachelor's degree in accounting. Both courses of study were finished at King University, in Bristol, Tennessee. As a minister's son, Nathan has always been keenly aware of the importance of a strong support system for preachers of the Word, who devote themselves to God's service. This is especially true for those serving Christ abroad. He is thrilled to be able to join the PEF office, in order to help our faithful team members in the areas they need. Born the oldest son, of Dr. Phil R. and Mrs. Carlen D. Blevins, he was raised in the deep South, and is happy to be back in sunny Appalachia, in the birthplace of Country Music: Bristol, Tennessee. He is very thankful to God for his faithful wife, Courtney, and their 3 wonderful children, and looks forward to helping and serving PEF in the days ahead. 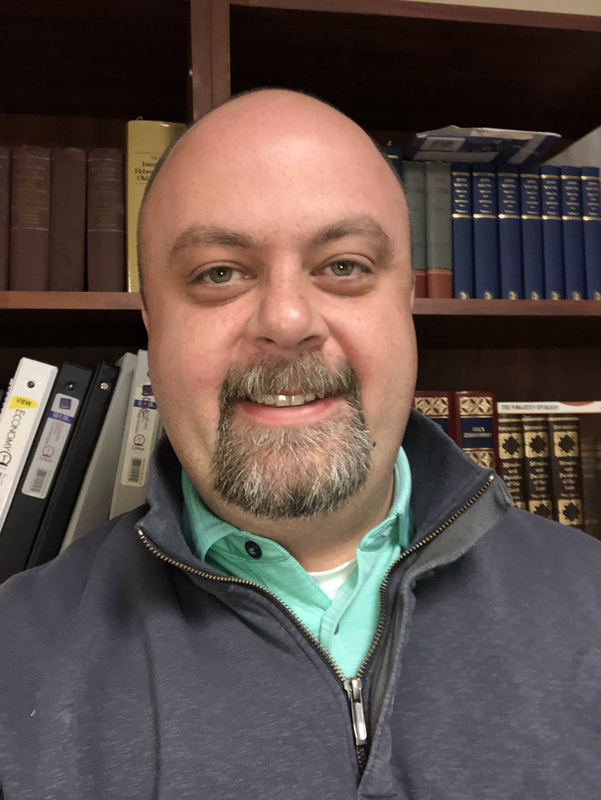 Clinton Blevins has been involved in ministry throughout the southeast of the United States for more than fifteen years. He co-Founded the nonprofit organization, Safe World, which has brought medical relief and clean water to portions of Uganda and Haiti. Clint is a regular contributor to Every Thought Captive Magazine, part of the Highlands Ministries. He graduated with a B.B.E from Graham Bible College in Bristol, TN with some continued education through Greenville Seminary. He lives in Bristol with his wife Alison and three children Tristan, Ada, and Vincent.